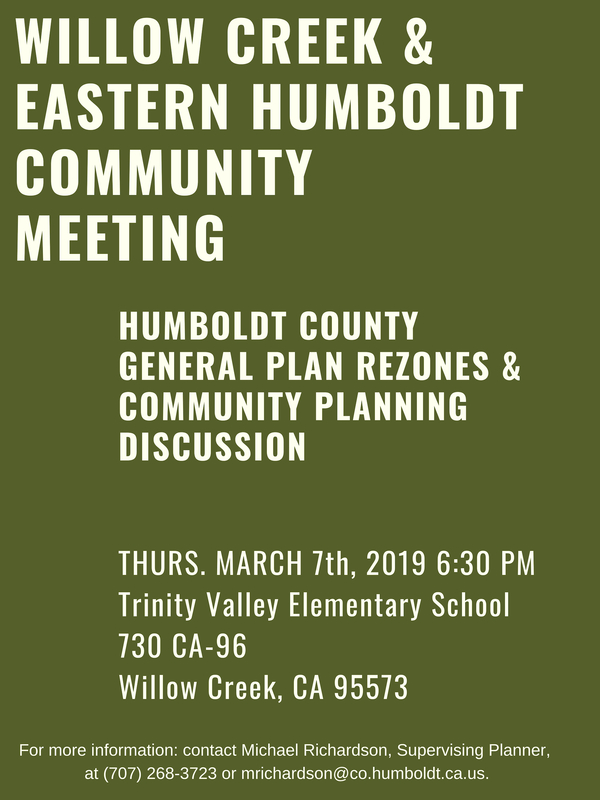 Please attend a meeting on Thursday, March 7th at the Trinity Valley Elementary School to discuss the zoning changes, review mapping in your community, and help the Board of Supervisors align the County’s General Plan with the community’s needs and interests. Provide information about the next steps in the rezoning process. 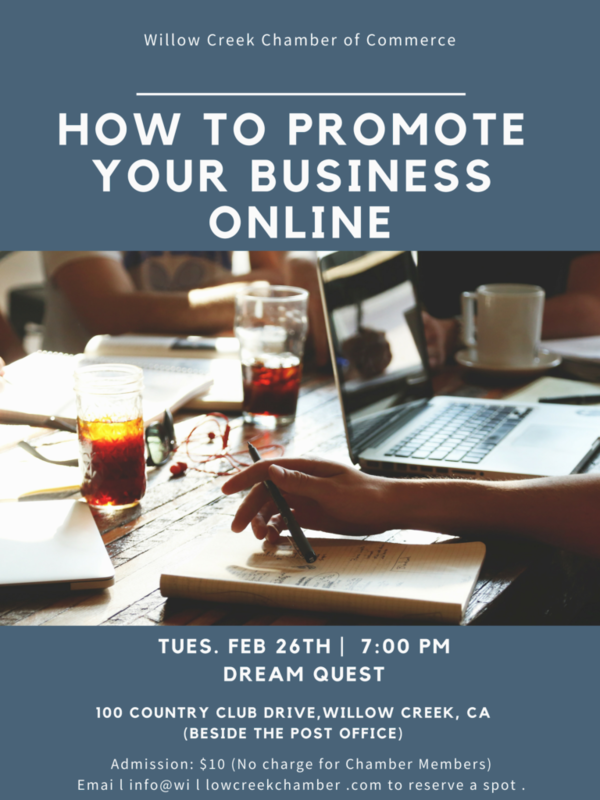 Background information can be found at the Planning and Building Department at 3015 H Street, Eureka, California, and on the County’s website at https://humboldtgov.org/2429/Implementation. 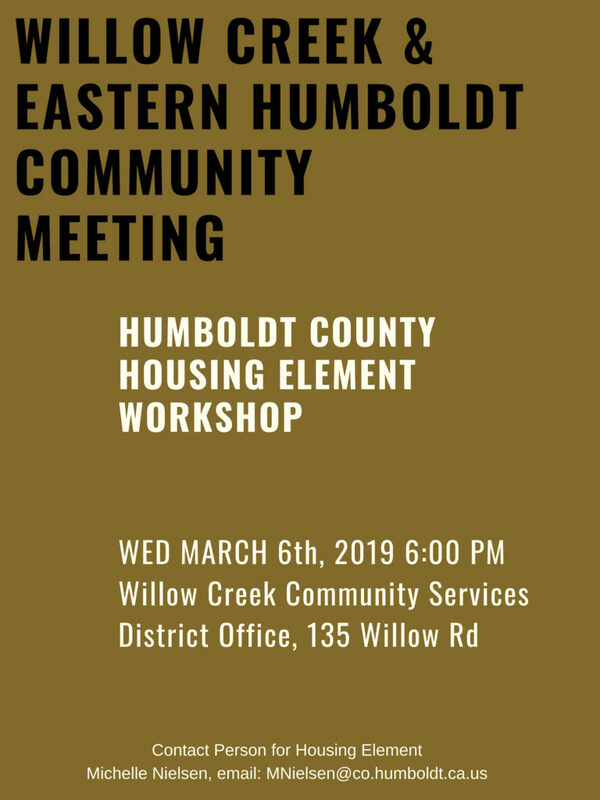 For more information, contact Michael Richardson, Supervising Planner, at (707) 268-3723 or mrichardson@co.humboldt.ca.us.